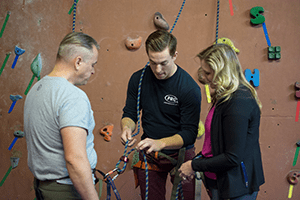 PRG has been teaching people to climb for over 20 years. Let us show you how! Must be 16 or older to take a lesson. Monday through Friday starting at 4:00 pm. Please call for available times. Saturday & Sunday – 10:30 am to 4:30 pm. Please call for available times. Class sizes are limited, so call 877.822.ROPE to ensure your spot! Includes two lessons, equipment rental, day pass, and FREE two week pass! 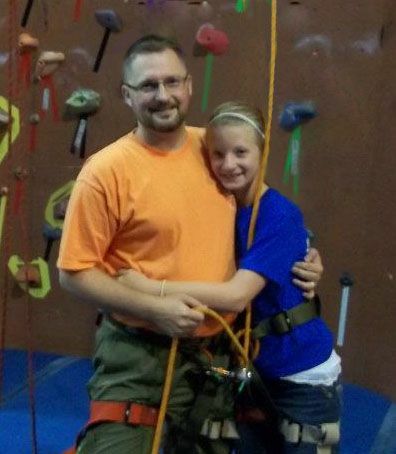 The best way for parents with kids to get started in rock climbing. Just like the Intro Package, parents work with one of our skilled instructors to learn all the necessary safety skills. Once the lesson is done, you and your kids can enjoy the rest of your day at the PRG! Available to adults with children under 16. Includes 2 lessons for adults & 2 daypasses for the kids! Pressed for time? 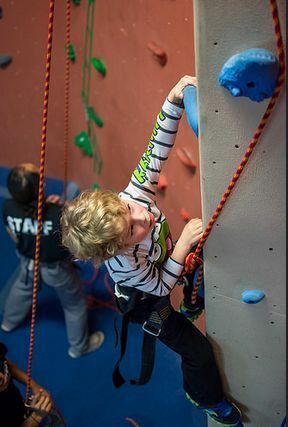 Try the easiest way for your kids to try indoor climbing – pay per climb! The PRG offers our Quick Climb punch passes for kids on weekends and holidays. First come, first serve! Available for kids 15 and under. Learn climbing from the best coaches in the area!